This Long Dress coat is perfect for easter, special occasion, first communion, prom, home coming, graduration, christening, wedding, pageant, ball gowns, baptism, bridemaid, formal, birthday or any events. The classic styling is perfect to wear over that fancy dress for special occasions. This outerwear is made in the USA. Available Size: 2 4 6 8 10 12 14. Available Color: Black, Burgundy, Red, Charcoal. 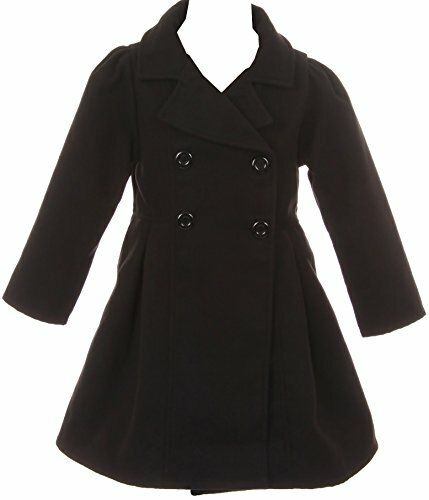 Lovely Long Sleeve Long Dress Coat with Pockets.